Vincent J. Cleary is a retired Professor of Classics at the University of Massachusetts Amherst, where he taught until 1997. With a particular interest in Latin poetry, Cleary is both a journalist and writer. Most of his writings reflect his love for the Pioneer Valley; Cleary was most commonly published in the Hampshire Gazette, although he also submitted articles to larger magazines and newspapers. The Cleary Papers are comprised of articles that Cleary wrote for magazines and newspapers such as Hampshire Life, and narratives relating to the town of Amherst for his book Amherst, Massachusetts 01002: One of the Best Small Towns in America. A bound copy of the book is included with the collection, as well as narratives and Cleary’s research materials. The collection contains complete newspapers and magazines and copies of Cleary’s articles (his earlier work is centered around Virgil’s The Aeneid). Also included among the papers are unpublished writings and an array of VHS and cassette tapes with copies of his lectures and class presentations. As an undergraduate at the University of California Berkeley in the late 1950s, Alvin P. Cohen planned on a career in engineering, but after earning his bachelors degree and working as a laboratory technician, he returned to undergraduate status and then to graduate school in Chinese. Cohen’s time at Berkeley coincided with the turbulence of the first wave of student revolt, the civil rights and antiwar movements, and the Free Speech Movement, however as a married man with children, he was more an observer than activist. After completing his dissertation, The Avenging Ghost: Moral Judgment in Chinese Historical Texts, in 1971, he joined the faculty at UMass Amherst, initially with a split appointment teaching Chinese and working as East Asian bibliographer in the library. Over the next three and a half decades, he helped build the Program in Asian Languages and Literature, becoming its Chair in the 1990s and President of the Warring States Project. Consisting of newsclippings, fliers, and other ephemera collected as the Free Speech Movement was at its height, the Cohen collection provides a valuable window on 1960s activism and the cross-fertilization between the various student movements. 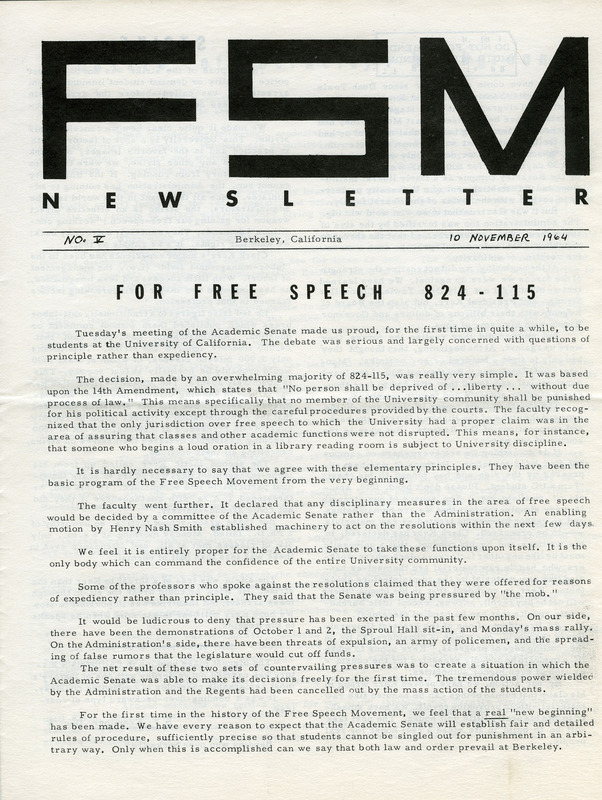 The materials cover a range of issues from free speech on campus to the California legislature, civil rights, the war in Vietnam, and the House Un-American Activities Committee. Of particular interest is a letter received by Cohen from a friend Doug Wachter in 1960, shortly after Wachter had been called before HUAC. A conference hosted by the University of Massachusetts Amherst on November 7-9, 1986, that examined the impact of the Constitution on politics and government, foreign policy, race relations, and the economy, and also discussed the impact on the constitution of popular struggles and the emergence of “rights consciousness.” Includes papers presented at the conference that were to be subsequently published in a special bicentennial issue of the Journal of American History. A scholar of eighteenth century British literature and culture, Thomas W. Copeland began what would become more than half a century of research on the statesman and political philosopher Edmund Burke while studying for his doctorate at Yale (1933). After publication of his dissertation in 1949 as Our Eminent Friend Edmund Burke, Copeland was named managing editor of the ten-volume Correspondence (1958-1978). After academic appointments at Yale and the University of Chicago, he joined the faculty at UMass in 1957, remaining here until his retirement in 1976. A chair was established in his name in the Department of English. The Copeland Papers are a rich collection of personal and professional correspondence, journals and writings from Copeland’s Yale years, manuscripts, typescripts, notes, and draft revisions of his works on Edmund Burke, and a journal chronicling Copeland’s four-year exercise in the daily practice of writing. Guy Chester Crampton was an insect morphologist who taught at the University from 1911 until his retirement in 1947. Crampton earned his B.A. from Princeton in 1904, his M.A. from Cornell in 1905, and a Ph.D. from the University of Berlin in 1908, then began his professorship at the University, where he was a dedicated teacher and active researcher. A life-long bachelor, Crampton died from a heart attack in 1951. The Guy C. Crampton Papers include published articles by Crampton, including a guide to the insects of Connecticut, published in 1942, as well as Crampton’s lecture notes for one of his courses in the Department of Entomology. A former Professor of English at UMass Amherst and contributor to the Program in Women’s Studies, Margaret (Margo) Culley was a specialist in women’s literature, particularly in women’s autobiography and diaries as a literary form. Her research drew variously upon work in literature, history, American studies, and religion, exploring gender and genre, language, subjectivity, memory, cultural diversity, and narrative. Between 1985 and 1994, she edited three volumes on American women’s autobiographical writing, and another on feminist teaching in the college classroom. The Culley Papers offer a somewhat fragmentary glimpse into Culley’s academic career and her commitments to women’s literature. The collection includes selected notes for research and teaching, annotated bibliographies of women’s literature, a performance script for The Voices of Lost New England Women Writers, a federal grant proposal for The Black Studies/Women’s Studies Faculty Development Project (1981), and notes related to a study on minority women in the classroom. Letters collected by Culley’s students (late 18th and early 19th century) have been separated from the collection and designated as manuscript collections. 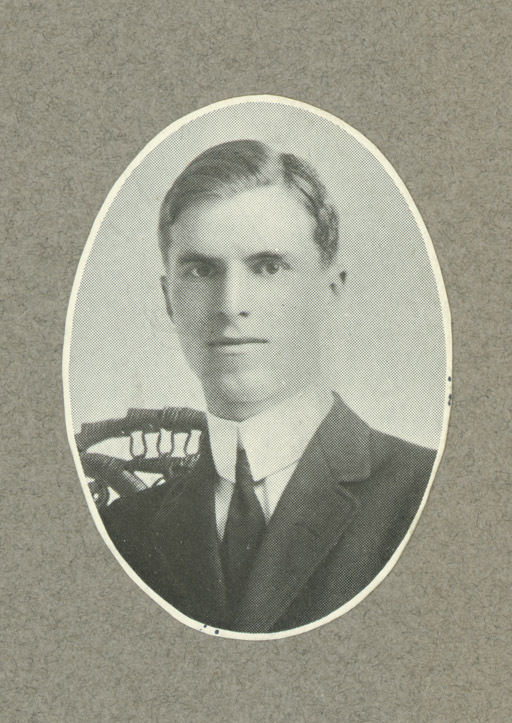 A member of the Massachusetts Agricultural College class of 1907, Frederick A. Cutter participated in football, basketball, and baseball as a student, and was a member of Phi Sigma Kappa fraternity. The Cutter collection contains photographs of the 1907 football team, the 1906 and 1907 members of Phi Sigma Kappa, and it includes a uniform from the M.A.C. basketball team, 1907, Massachusetts pennants and banners, a Lowell High School sweater from 1902, and early M.A.C. football equipment, including cleats and a nose guard. With a law degree from Yale in hand in 1968, Peter d’Errico began work as a staff attorney with Dinebeiina Nahiilna Be Agaditahe Navajo Legal Services in Shiprock, Arizona, representing indigenous People’s interests in the US courts. Stemming from his frustrations with a stilted legal system, however, he evolved into an “anti-lawyer,” and in 1970 returned to academia. Joining the faculty at UMass Amherst, d’Errico focused his research and writing on the legal issues affecting indigenous Peoples, and he regularly taught courses on indigenous People’s law and the role of the law in imposing state systems on non-state societies. His impact was instrumental in establishing the Department of Legal Studies. Both before and after his retirment in 2002, d’Errico also remained active as a practitioner in indigenous People’s law. The d’Errico collection contains a significant record of d’Errico’s high profile legal work in indigenous People’s law, including his work with Western Shoshone land rights and on the case Randall Trapp, et al. v. Commissioner DuBois, et al. In Trapp, a long-running, but ultimately successful First Amendment case, he and Robert Doyle represented prisoners in the Massachusetts Department of Corrections seeking to establish a sweat lodge. A native of Providence, R.I., Bobby Davis arrived in Amherst in 1977 and soon afterward entered the University Without Walls program at UMass to earn his college degree. A talented jazz musician, Davis became immersed in the vibrant local arts scene, learning photography while writing for the student publications Nummo News and the Collegian, and covering performances by a steady stream of jazz and R&B acts touring through the area. Working later as a photographer for Smith College and traveling for the yearbook company, Delmar Studios, Davis eventually settled in Northampton, where he remains active as a photographer. The Davis collection contains ten exhibition prints of jazz musicians performing in Amherst, including Art Blakey, Angela Bofill, Ray Charles, Miles Davis, Dizzy Gillespie, Yusef Lateef, Oscar Peterson, Max Roach, Gil Scott-Heron, and Archie Shepp. After receiving her MA from the University of Oregon in 1951, Madeline De Frees embarked on a career teaching English and writing to students ranging in age from elementary school to college (University of Montana, Seattle University). Joining the faculty at UMass Amherst in 1979, she served as Director of the MFA program in Creative Writing from 1980 to 1983, retiring in 1985. The DeFrees Papers are a collection of personal and professional correspondence, poems and other writings, interviews and photographs. Biographical materials, financial records, and interviews comprise the remainder of the collection.